Wyndham’s Theatre in London’s West End is hard to miss. 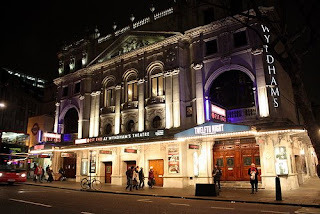 Located in Charing Cross Road next to Leicester Square Underground station and adorned with crisp neo-baroque stone-carvings, it is surrounded in the early evenings by theatre-goers waiting for friends before entering the auditorium. It is named after the man who built it, Sir Charles Wyndham (1837-1919), actor and manager of the theatre. However, Wyndham was not his family name. Before he adopted it, he was Dr Charles Culverwell: his metamorphosis, from jobbing doctor to theatrical knight, is a good example of artfully manipulated identity. Culverwell’s father and uncle were both doctors of a sort. His father, Major Richard Culverwell — as with the epidemiologist Major Greenwood, Major was his forename, not a military rank — apparently had an M.D. degree, but instead of practising medicine, he ran a Turkish bath in the City, and together with his brother, Samuel Henry Culverwell, owned hotels in Arundel Street and Norfolk Street, both streets joining the Strand with the Thames. A third brother was Charles’s doctor-uncle Robert James Culverwell MRCS (1802-1852), a fringe practitioner with a Giessen M.D. who also ran a bath-house in the City of London, and another one at 10 Argyll Place, off Oxford Street. The baths were advertised in his many popular pamphlets on bathing, indigestion, nervous diseases, “marriage”, venereal disease, fresh air, health and longevity. He practised near the bottom of the medical hierarchy. Dr. Culverwell, M.R.C.S., L.M., L.S.A., 3, Great Marlborough Street, W., can be consulted upon all cases of nervous debility, involuntary blushing, palpitation, loss of memory, incapacity, spermatorrhoea, sterility, cauterisation and galvanism. Just published, 1s., by post 13 stamps: 18 sealed—” Marriage, its obligations, happiness and disappointments”. Mann, Cornhill, or Author, as above. Charles Culverwell was also involved in both amateur and professional theatre as an actor. 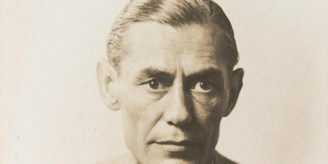 In that field, he later claimed to have given his career a leg up by publishing lavish reviews of his own performances in the Theatrical journal. On a trip to America in 1862-1864 he tried both professions. As a surgeon he served for the Union army in the American Civil War, mostly in St Louis and New Orleans (with the aid of a testimonial from P.T. 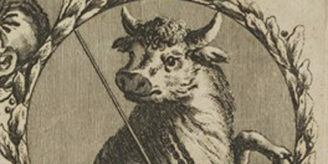 Barnum, whom he encountered by chance in a hotel lobby). As an actor he played with little success in performances in New York and Washington, where he appeared on stage in Hamlet with the later assassin John Wilkes Booth playing the title role. A slightly crooked mouth and heavy eyelids lent him a quizzical or mystified look that only enhanced his appeal. As his wavy hair turned from brown to silver his charisma increased. Seldom in fifty years on the stage did he fail to capture the men’s admiration or the women’s hearts. With the sole exception of Ellen Terry, no British player of his era surpassed his ability to sway the audience by the power of personal charm. Gradually Dr Charles Culverwell, the agony uncle of Great Marlborough Street, faded from view: after 1882 he no longer submitted his name to the Medical Directory and in 1886 he changed his name formally from Charles Culverwell to to his stage name of Charles Wyndham. A warning to those who assume that disappearance of a name from the Medical Directory means that the person concerned had died -– though in a sense, Dr Culverwell had died. In 1890 when the Surgeon General’s Office in Washington D.C. needed to get in touch with Dr Culverwell, the Post Office in London replied that there was no trace of him, though at the time he was starring at the Criterion Theatre, with his new name in lights above Piccadilly Circus. His only continuing connection with the medical world was a willingness to put on fund-raising performances for hospitals such as the Middlesex. Wyndham was knighted in 1902 and died in 1919. The 1889 photograph of Wyndham by Barraud (above) thoroughly bears out the pen-picture in the Oxford DNB (click on the image to enlarge it). The portrait has recently been added to the Wellcome Library and joins other portraits of public performers such as acrobats, preachers, singers, quack-doctors and horse-tamers. Wyndham was familiar with the illusory qualities of human identity. In one play that he produced, critics praised the convincing performance of an unknown actor, named as Mr Crabbe, playing the part of a French waiter. Enquiries revealed that the part was played not by an actor at all but by a real Frenchman employed as a waiter at one of Wyndham’s father’s hotels. How many layers of representation does that make? 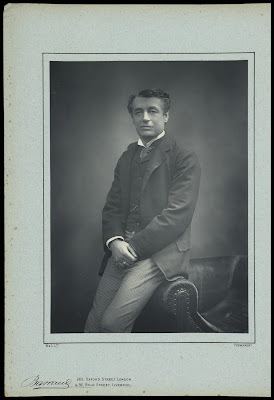 Photograph of Sir Charles Wyndham: Wellcome Library no. 672836i.